"Untidaled," Part 1 of 2! 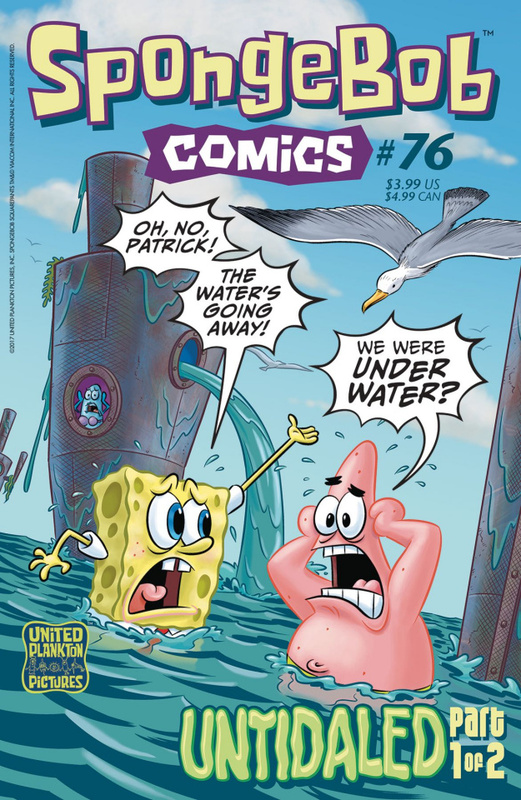 All the water in Bikini Bottom is being sucked away to parts unknown, and SpongeBob, Mr. Krabs, and Sandy must help its denizens survive the onslaught of air-and then set out across the muddy flats to bring the ocean back! Finally, a sort of reverse, right-side-up "Poseidon Adventure" with talking animals! Plus: see SpongeBob work out on the beach, observe model-boat building with Mrs. Puff, and read more "SpongeFunnies" by James Kochalka!